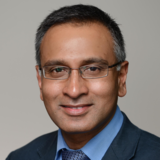 Mr Dalvi Humzah is a consultant plastic, reconstructive and aesthetic surgeon and a full member of BAPRAS, UKAAPS, ISAPS and ASPS. He has maintained a plastic surgery private practice since 1997, providing a combination of surgical and non-surgical cosmetic interventions. He sits on the Editorial Board for the Aesthetics journal and is the aesthetics sub-editor for PMFA News. Mr Humzah is a national and international presenter, as well as a key opinion leader and scientific advisory board member to the aesthetic sector. As Medical director and lead tutor of Medicos Rx, he has been involved in delivering the multi-award-winning Dalvi Humzah Aesthetic Training courses. Mr Humzah is a founding member of the Academy of Clinical Educators at the Royal College of Physicians and Surgeons of Glasgow and delivers anatomical teaching with dissections internationally.